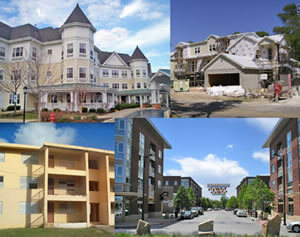 VSI maintains a field staff of professionals experienced at collecting critical on-site real estate data. Each member has been fully trained to evaluate site attributes, area competitors, market trends, economic characteristics and a wide range of issues impacting the viability of a real estate development. Kyle Reiff has conducted market studies in over 35 states since joining VSI in 2012. Mr. Reiff has evaluated market conditions for a variety of project types, including Low-Income Housing Tax Credit apartments, homeless supportive housing analysis, student housing analysis, rent comparability studies, condominium and single-family home communities, mixed-use developments, lodging, city-wide analysis and workforce housing analysis. Mr. Reiff has a Bachelor's Degree in Economics from The Ohio State University. Eric Walters analyzes markets for various types of housing such as government-subsidized, Low-Income Housing Tax Credit (LIHTC) and upscale market-rate apartments. Mr. Walters has a Bachelor of Arts Degree in Public and Urban Affairs and a minor in Landscape Architecture from Virginia Polytechnic Institute and State University. David Nguyen performs on-site market evaluations in rural, urban and suburban markets throughout the United States. He is knowledgeable with various aspects of the multifamily affordable housing industry including government-subsidized programs and Low-Income Housing Tax Credit (LIHTC) financing. He is familiar with government-subsidized programs and Low-Income Housing Tax Credit (LIHTC) regulations.